SOFT INTRO (50-100 words): If missing teeth keep you from smiling, you can finally find a permanent solution with the professional team at Weishaar & Weber Dentistry. Located in Spokane Valley, Washington, the office is home to highly trained dentists who have a vast experience improving smiles and function with dental implants. To learn more, call the office to schedule your initial consultation with Dr. Anthony Weber, Dr. Sue Weishaar, or Dr. Lori Weber. You can even book your appointment online now. Dental implants replace both your natural tooth and its root. Your dentist often suggests an implant when you’re missing a single tooth. When you’re missing multiple teeth in a row, they may recommend an implant-supported bridge or dentures. At Weishaar & Weber Dentistry, your dentist may recommend an implant because it provides stronger the support than traditional tooth replacement options. When you see your dentist for a dental implant, they place a titanium cylinder in your jaw bone, which anchors your new tooth in your mouth, forming a strong, solid bond. Over the next six months, your jaw heals, fusing to the cylinder (a process called osseointegration). After your jaw and gums heal, your dentist connects a prosthetic called an abutment. A mold of the abutment is created, then a custom-built crown is made. Your dentist secures this crown to your abutment. Anyone who’s missing a tooth and looking for a replacement should consider dental implants. Your dentist at Weishaar & Weber Dentistry examines your teeth, jaw, and gums, and determines if you’re an appropriate candidate. They may request dental imaging, including X-rays, panoramic films, or 3D CT scans, to assess whether your jawbone is strong and healthy enough for dental implants. In many cases, a bone graft is necessary before placing the implant. While dental implants improve your smile, the procedure has non-cosmetic applications. Dental implants can improve the function of your jaw and teeth, and because the replacement tooth is independently rooted in your jaw, much like a natural tooth, it doesn’t impact or affect your other teeth. 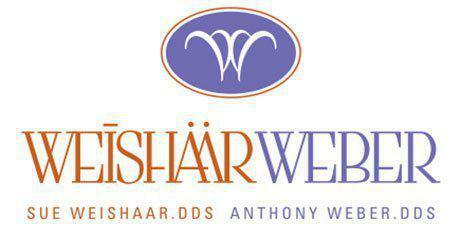 If missing teeth are impacting your smile, find a solution at Weishaar & Weber Dentistry. Call the office today to schedule your appointment or book it online.